Whether it’s a brick-and-mortar or online casino, roulette is one of the most popular games you will find. Despite the two different wheels, there are in fact numerous types of roulette games, but the most common are American, European and French. Online, you’ll find numerous versions of roulette and you’ll easily find a favorite: https://games.paddypower.com/c/roulette. Here, we will take a look at the different forms of roulette you can play online or on land. When French immigrants fled to Louisiana in the late 18th century, they took French roulette with them. However, it didn’t really take off, due to the low house profit advantage. American roulette these days, still shares many commonalities with French roulette; however, there is one big difference. The house odds in American roulette are larger (5.3%) due to there being a single zero and double zero. Despite featuring the red and black (and green zeros) that are accustomed with all versions of roulette, the sequencing of the numbers on the wheel also differs slightly. There are a total of 38 pockets on the American roulette wheel: 0, 00, 1-36. 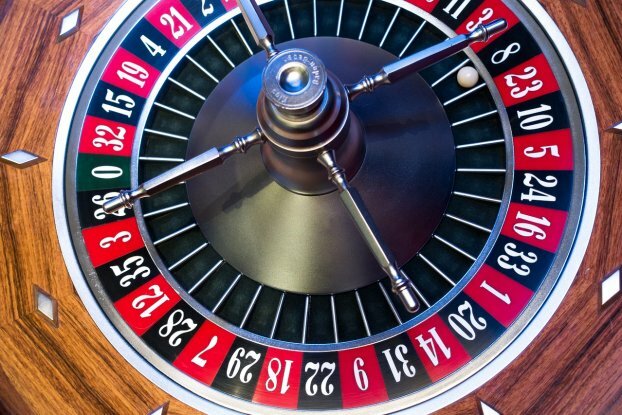 Despite following many similarities from its French version, American roulette doesn’t have the ‘en prison’ rule and therefore, is more favorable to the casino. There are a total of 37 pockets on a European roulette wheel; with the single zero and numbers 1-36. Therefore, the game has a reduced house advantage of 2.7%. European roulette is the most common version of the game and is popular because of said house edge. The numbers on a European roulette wheel also differ in position to those found on the American wheel – but are the same as the French version, as it’s played on the same wheel, but with different rules (we’ll explain more about that later). There are also a number of bets that players can place: straight-up (placing a bet on a zero or 1-36); split bet (bet on two adjacent numbers); street bet (features all three numbers in a row); corner bet (features four numbers and placed on the corners where there numbers touch); line bet (features one row of six, or two rows of three) and column bet (features an entire column); dozen bet (features a group of 12 numbers and can be placed on the 1st 12, 2nd 12 or 3rd 12 numbers); color bet; odd/even bet; and high/low bet. French roulette is the original version, apparently invented by French mathematician Blaise Pascal, with ‘roulette’ translating as ‘little wheel’. French roulette is considered ‘Queen of the Casino’ and is still popular in places such as Monte Carlo. French roulette can be compared to European roulette as it’s played on the same wheel, but there are fewer betting options in French roulette. In French roulette, you’re able to bet on zero, any of the numbers 1-36, red or black, odd or even, or 1-18 and 19-36. Despite there being two different wheels: the American and European, when it comes down to rules, they aren’t based on the physical wheels themselves. The rules in American roulette apply to European roulette too, and then there are French rules which differ slightly. According to American and European roulette rules, when zero hits, all outside bets are lost completely. However, in French roulette, when zero comes in, outside bets are not lost completely and instead one of two rules apply. The first, en prison (or ‘in jail’) means your money is not lost and your bet stays for the next spin. If you manage to hit zero a second time, your bet is lost; however, if you don’t hit zero, your bet wins or loses as it normally would. The second rule la partage (or ‘splitting’) means you’ll lose half your bet, but the other half stays with you and you bet as normal on the next spin.